People that visit the 24 hours iLumen European Solar Challenge by car get free access to the parking facilities inside the Circuit. Circuit Zolder is accessible by driving under the arch of Gate 1 of the Circuit and then turn left. Afterwards, they can follow the route marked in red on the map below to the visitors parking (marked as ‘2’ on the map below). Owners of electric cars get access to a seperate parking (marked as ‘3’ on the map below). GPS coordinates Gate 1: Kerkstraat (intersection Terlaemen) Heusden-Zolder, Belgium. During the entire 24 hours iLumen European Solar Challenge weekend, visitors can enjoy snacks and drinks inside the Circuit. Some animation is provided for children. 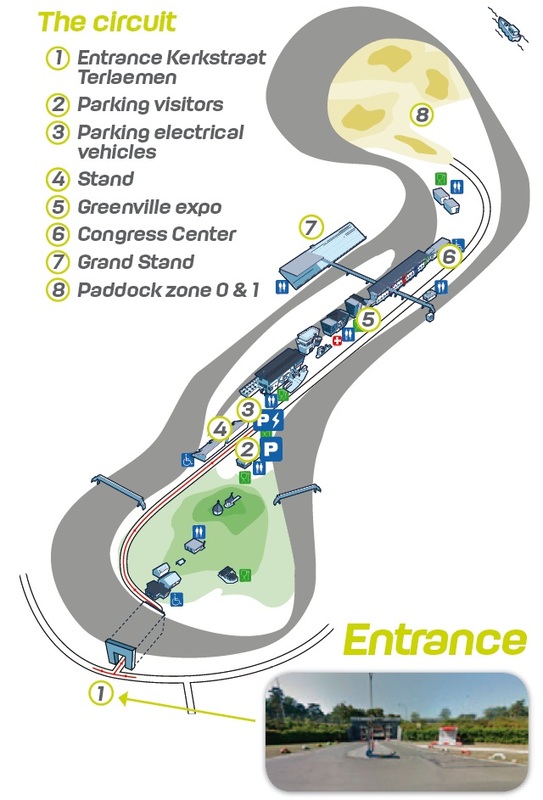 The iESC organization is looking forward to welcome you at Circuit Zolder!